I hear ya. I’ll be bummed because I decided to not go to Atlanta this year if it’s the last one. Apparently, between the rent and conflicting sponsor ship (benz & Toyota) Feld wants out. Hopefully just a rumor. Atlanta was always my race. Decided to not go because they came to Nashville this year and I live 30 plus minutes away. Thanks brother, been dealing with cancer stuff going on 2 yrs now is what it is. Haven’t been to new bball stadium either, so I’m going to plan it out, get some killer seats and have some fun. Got to get that done and hit the Benz next Feb for the sx. I just saw your post on donm’s “when would you be born” (something like that). I don’t know you from Adam, but I absolutely hate hearing about your diagnosis. Man... hang in there. Easier for me to say it, but I mean it! It’s my biggest fear... stay positive my man and wish you comfort and peace. Only watched the mains, so missed the crash. You come down to Atl for any Braves games ? All good my man. Just thought I reach out if you happened to be in town. 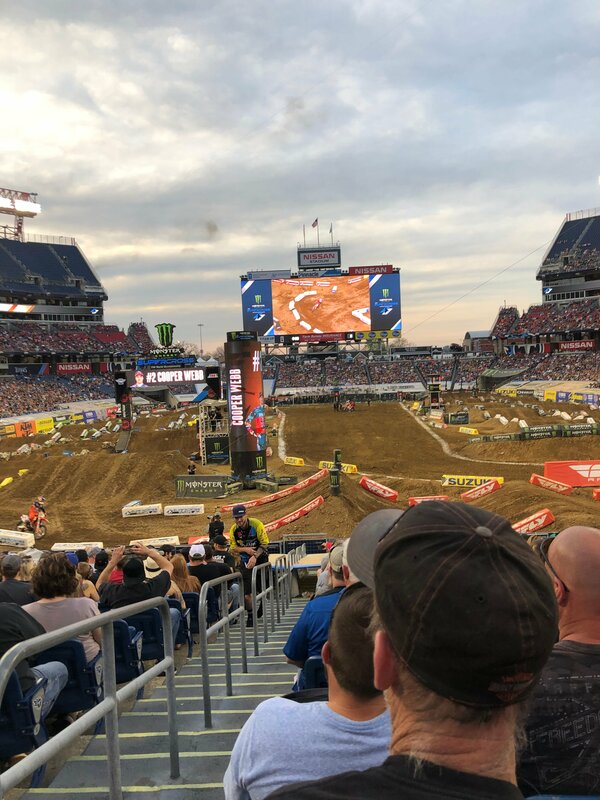 Are you showing up for the Nashville SX? Did you see that James Stewart episode 1 video that dropped today? AC should have, but he had no reason too. dont know if you saw my stuff meant for you. orlando was promoted to Graduate.